Visit Manchester and The Quays will host its first two-day venue showcase for associations in January 2013. Taking place on Friday 18 and Saturday 19 January, associations from all over the UK will visit five world-class venues, including Manchester United, Lancashire County Cricket Club, IWM North (part of Imperial War Museums), The Lowry and The Copthorne Hotel Manchester. On Friday guests will be able to explore the setting of The Quays, before being taken on a tour of the world-famous Manchester United Stadium. This will be followed by drinks and canapés at IWM North and dinner and entertainment at The Lowry. Overnight accommodation will be provided by the four-star Copthorne Hotel, before a tour of The Lowry’s conference and events spaces on Saturday, as well as a visit to Lancashire County Cricket Club’s 1,000-capacity venue, The Point. Hannah Laffan, Conference and Events Sales Executive at Lancashire County Cricket Club, said: "The Quays is very excited to be hosting its first Association trip. We have an extremely unique offering in that all the venues work together. 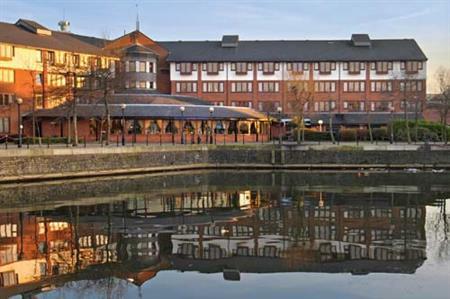 Businesses and associations can book across one or more of our venues to make their event truly memorable – and all in the beautiful waterside setting of The Quays. We are sure the event will be a success and that all who sign up will have a fantastic experience." For more information or to sign up for The Quays Association Showcase, click here.